Prayer has always been a foundational element in our lives. It is though our prayer and spiritual life that we find the strength, wisdom and guidance to engage in our ministry. Prayer centers us in the loving and forgiving God and moves us into joyful service. Our Sisters’ work for justice, and compassion for the poor is grounded in Jesus’ life as written in the Gospel. We invite you to nourish your spiritual life in the Presentation spirit! We welcome you to join us for Mass at our Blessed Sacrament Chapel, pray the Stations of the Cross with us or send us your prayer intentions so we may pray for you. May you continue to nourish your spiritual life to renew your spirit and enliven Christ’s heart within you! Click on an area below to learn more about this additional prayer opportunity. In addition to our special individual times of prayer and praise, we spend time each day sharing in prayer and taking part in Mass as a faith community. We invite you to nourish your spiritual life in the Presentation spirit by joining us for Mass at our Blessed Sacrament Chapel at Presentation Convent. Mass times may vary from week to week and times are subject to change. Please call the Convent at 605-225-0420 for additional information regarding Mass times. In 1906, Bishop O’Gorman asked the Sisters of the Presentation of the Blessed Virgin Mary to begin perpetual Eucharistic Adoration for the needs of the people in the Sioux Falls diocese. 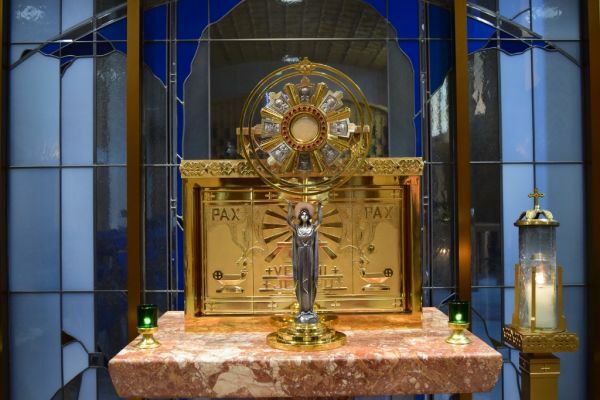 This tradition continues today through Adoration in our Blessed Sacrament Chapel. We spend time in this sacred space offering prayers for the intentions of those who have requested prayer, for the needs of the people of the diocese, the nation and the world. This practice has been an essential element of Presentation life in community. A facet that keeps this prayer ministry current and relevant is our prayer line ministry. 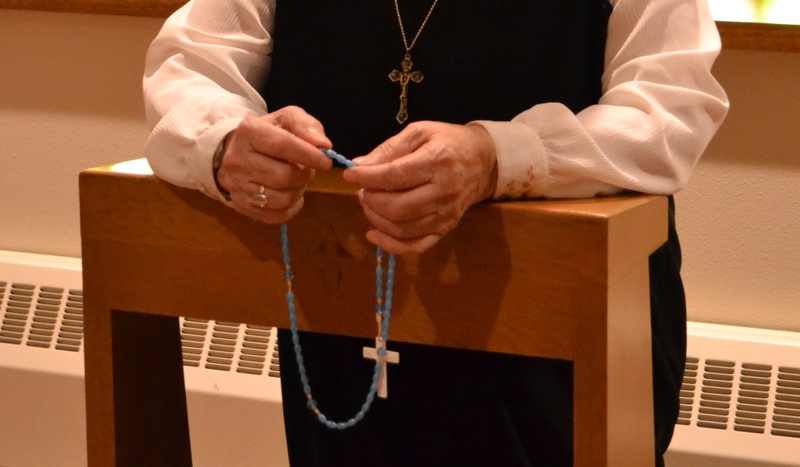 Individuals throughout the world contact us and request that we pray for their intentions. If you have an intention you would like us to pray for, you may call 605-229-8331, email wepray4u@presentationsisters.org or CLICK HERE to fill out a form with your intentions. Historically, the pilgrims coming to Jerusalem felt a connection to Jesus when following in his footsteps along the way of the cross on their pilgrimage. In the 1500s, when it was no longer easy or possible to visit the holy site, villages all over Europe began to create replicas of the way of the cross. Eventually these shrines became the set of 14 stations that grace nearly every Catholic Church in the world. In making the Stations of the Cross, we enter into the mystery of Jesus’ gift of himself to us. In reflecting upon the passion, we involve our senses and emotions for a deeper experience of Jesus’ love for each of us. In realizing this love, may we all feel a deep gratitude and desire to love as we were first loved. 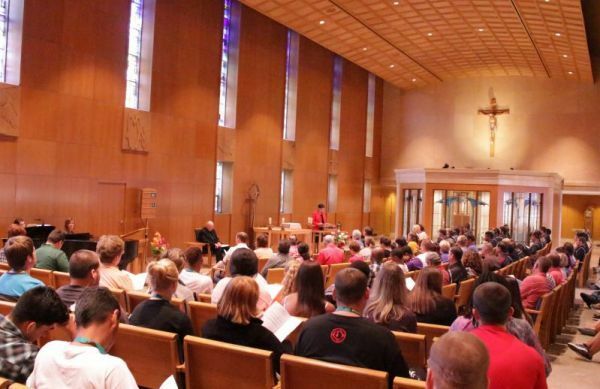 The Stations of the Cross video was filmed on location in the Blessed Sacrament Chapel at Presentation Convent, Aberdeen, South Dakota. In wanting to strengthen the connection with our students attending Presentation College, we began our Sister Prayer Partner Program. 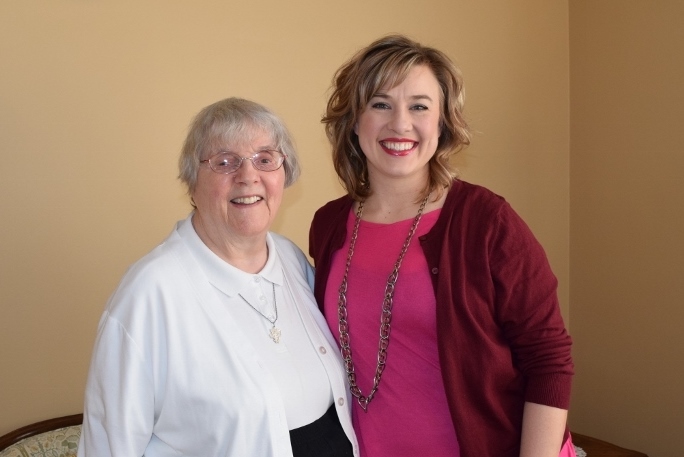 For over 15 years, this program has connected students and Sisters with the opportunity to get to know one another while sharing and growing in their personal faith. For more information, you may contact Jen by emailing marketing@presentationsisters.org.